For 30 years of its history, our building was home to S. L. Fosse’s Egg and Poultry Processing. 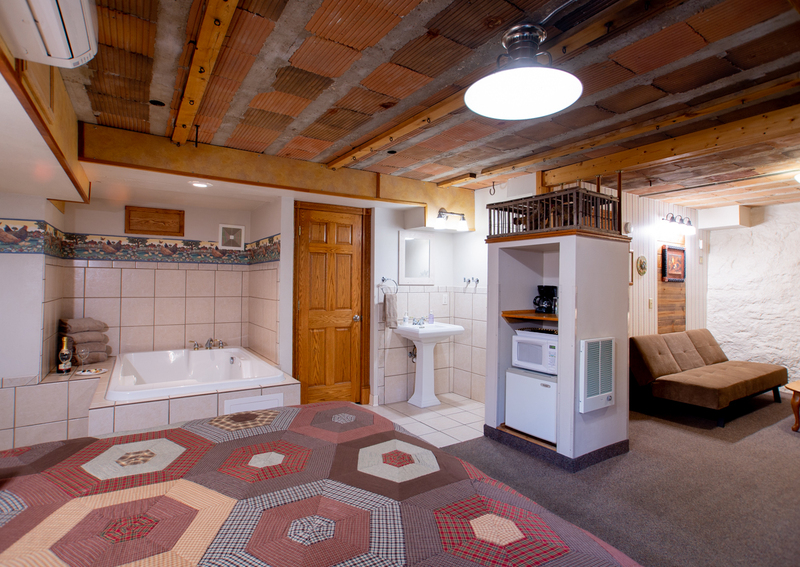 The Crate Jacuzzi Suite is dedicated to all those that worked long hours candling eggs and preparing chickens. 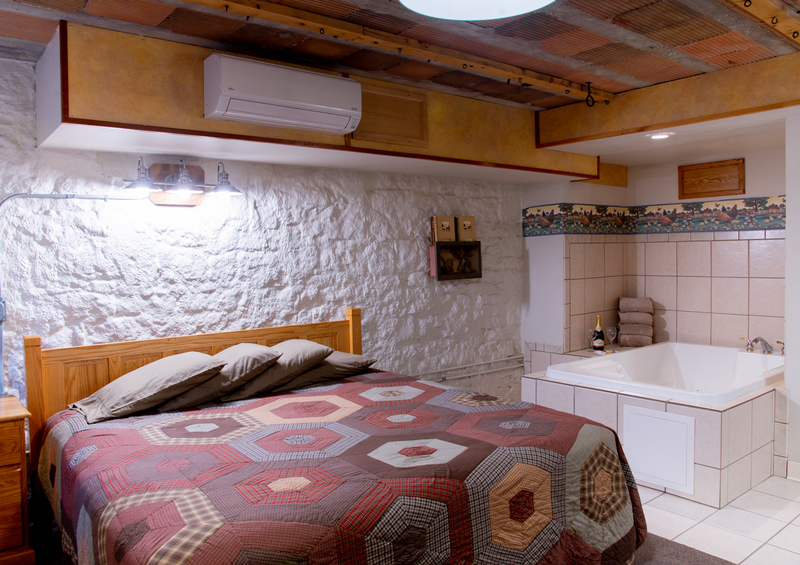 The spacious suite features a double whirlpool bath, king bed, private entrance to the outside, and private bath. 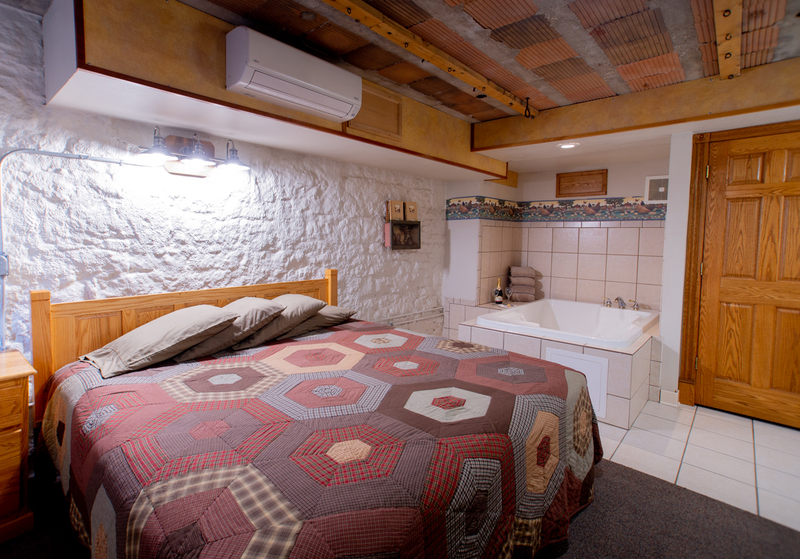 The suite also includes a sitting area with two futons that convert to twin beds for additional guests. 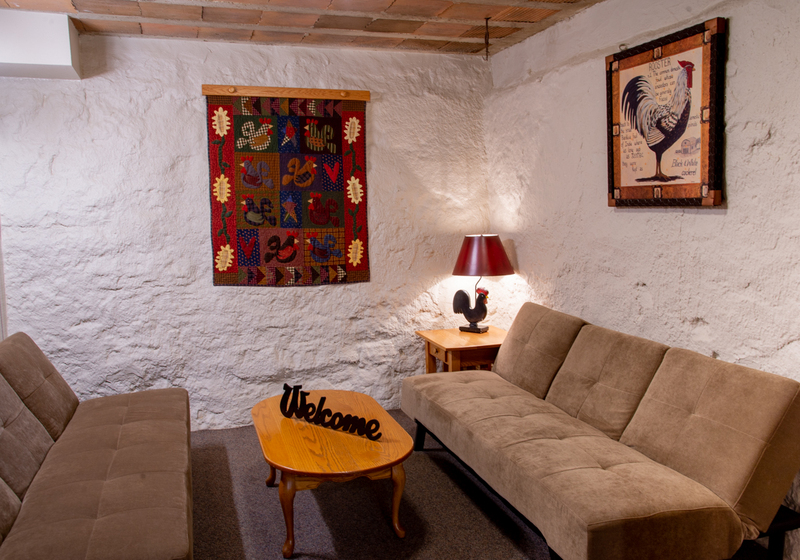 Location in hotel: Stone building, Level A, two levels below the main entrance. The suite has a window that allows some natural light and is enjoyed by guests who want a private and secluded feel to their accommodations.